Xiaomi officially unveiled the Redmi 6 Pro and Mi Pad 4 today at an official event in China. However, there’s barely anything new we’ll find out about the device. As it turns out, even the pricing/versions of the Redmi 6 Pro were leaked last night. Both the new products were listed on Xioami’s portal resulting in a complete dress down before launch. 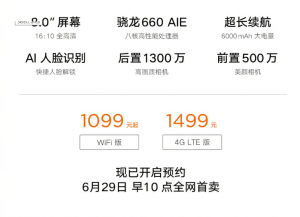 Also, some partial pricing details of the Mi Pad 4 were also outed. 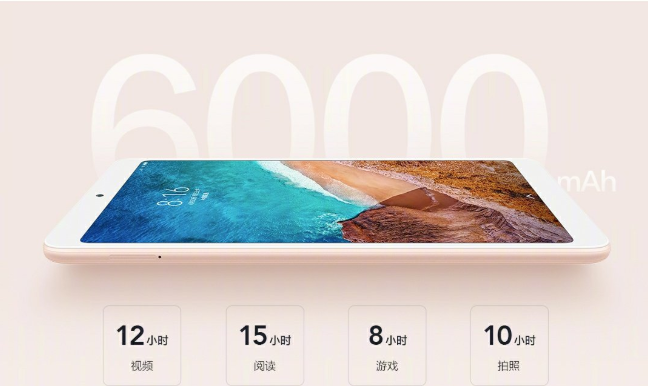 But now, we have official pricing details with all the specifications of the Mi Pad 4. The Mi Pad 4 would be getting three variants, the top-end of which will be a LTE model. The base variant is 3GB + 32GB and costs 1099 Yuan ($168). There’s a 4GB + 64GB variant as well that costs 1399 Yuan ($214) which is also only-WiFi. The third variant is 4GB + 64GB which can set you back by 1499 ($229). As it is, specs are already history. Xiaomi itself spilled the beans on the Snapdragon 660 chip being inside the Mi Pad 4 through an official teaser. The tab has a tad bit bigger screen at 8.0-inches and the battery is also 6,000mAh. The display should likely bear Full-HD+ resolution with a 16:10 aspect ratio. The rear has a powerful 13MP camera and the front selfie shooter is a 5MP lens. It runs Android 8.1 with MIUI 9, so we’re still not getting MIUI 10, not at first boot at least. In terms of connectivity, we’re getting a 3.5mm audio jack, 4G VoLTE, and a MicroSD card slot as well. Since it doesn’t have a fingerprint reader Xiaomi has also recently teased the tablet to feature face unlock out of the box. Sales start in China on June 29 at 10 AM.